Chest pain; feeling breathless (for women, this may occur without chest pain of any kind); flulike symptoms, specifically nausea, clamminess or cold sweats; unexplained fatigue, weakness or dizziness; pain in upper back, shoulders, arm, neck or jaw; feelings of anxiety or doom. In an effort to get as many heart attack victims as possible to describe their symptoms (women only), I am creating this web page so you can send in your experience and other women can read it. I'm certain this will save lives, just as sharing our menopause experiences has helped so many others. Even if there's only one thing you recall, send it! Please send an email HERE! If you experience any of the symptoms you read about do not write to ME...call your DOCTOR! If it's after office hours, there will be an answering service who will get your message to the doctor and he or she will tell you if you should go to the ER. Every year, approximately 785,000 Americans suffer a first heart attack. And 470,000 who’ve already had one or more heart attacks have another one. The scary thing is that 25 percent of ALL heart attacks happen “silently,” without clear or obvious symptoms. Even when symptoms occur, they can be so mild or vague, most people don’t even realize it’s heart-related (unless they are made aware). Four things in particular are the most sinister signs of a silent heart attack. My Mom just had a heart attack Sunday. They realeased her on tuesday & the blockage was so bad that they couldn't even get the stint in her heart .. blockage was 99.9% on the bottom & 88.9% on the top! I think they released her way to soon?! Now she is having pains in the top of her left foot? I was trying to make sure this wasn't a symptom when I saw your page. I think what you are doing is great! & I certainly appriciate all the information, I found it very helpful! If you would happen to know anything about the pain happening in her top left foot please let me know? I can't find any research that mentions such a thing? Thanks so much & I am so very sorry about the loss of your friend. God Bless You! This should be a wake up call for those who have posted their experiences of heart attacks. Ok you may think is a challenge but think of the people who are left with the challenge of living without you...My Aunt of 59 years died yesterday of a massive heart attack- she did not smoke, did not drink and had no chest pain. She did nt feel her self for a few days and only had what she thought was indigestion/heartburn and felt a little tired. She walked into town with her daughter, turned and said 'I think I ll head home' - then dropped to the ground. Her poor young family now have to live without their mother....If you do not feel yourself and know something is just not right... take an aspirin and get to a doctor. If you do SURVIVE a heart attack and smoke - STOP smoking... you are getting a second chance with your life and your family... MY Aunt and her family will not get the same chance!!!! My name is Margaret, from the uk. I am 57 years old, not overweight, not inactive and ate a fairly healthy diet. About 2 months ago, I started to feel a tightness in my chest just below my neck, without a cause. That is no activity caused it, was mainly in an evening when relaxing. I contacted my doctor who sent me for x-rays, ecg, lung function and stress related ecg. (heart monitered whilst walking on treadmill. (no blood test ). The doctor at the hospital was unhappy about my being referred for this test, but did it anyway. After the test was complete, he went into the office and then asked me to come in and take a seat, whist I was waiting for him to discuss the result, I was reading his report on screen. He has queried angina. On returning to my doctor for the results, she told me all was normal, laughed and said I should stop smoking as it was this causing the problem. The following week, I went with the family for a weekend break. We wre climbing hills when again the tightness came on really badly. I had to go back down and sit and wait for them. I was convinced this was ok, as the doctors had said nothing wrong. About a week later I was cleaning in the house when I felt really tired, I got a drink and went to sit in the garden when the tightness came on very strongly,also my left arm was hurting, like a really bad cramp. I fell asleep, on waking forgot all about it. Later that evening I told my husband, but we both agreed that couldn't be anything having had tests.I woke at 5.00 am and knew I was having a heart attack, the crushing in my chest was bad and my left arm hurting badly, then I was vomiting, the worst was the diarrorah, that was sudden and uncontrolable. I was taken to hospital and 2 stents placed. Hello, my name is Linda I'm 48 years old. On Tuesday Aug 6, 2011 I had a heart attack, never in a million years would I have thought it was that. night before I had a pain in my left fore arm didn't think any thing of it thought it was from using mouse all day at work, that night at bed I had a pain in my jaw, once again thought it was from eating, next day I drove hour half to work was fine till around 1130 am got that pain in left fore-arm again so took some Tylenol only for the pain to get worse all of a sudden I was sweating like someone dumped bucket of water over my head and soaked me, once to hospital the doctor's said I was having heart attack and they needed to operate Asap! Once all said and done I had 3 stent's in right artery, also have the left one that is 50% but doctors said they cannot do anything until its 70% or more blocked. after 3 days in hospital I came home. I have started Cardiac Rehab for 8 weeks 3 X's a week it's hard work but in end all will be worth it for better health have also been on the heart healthy diet, food was easy to adjust to its smoking that very hard but on my way to quitting. Remember exercise is very important to heart health. I wanted to share my mums story on your website. I found it very useful and amazing to hear such similar stories. She is 72, and heavy smoker. She seemed to be in good health and in the last years had high blood pressure. She also had hypothyroidism. I just arrived to Scotland from the US, to see her. I went to bed early with jet lag that night and a couple hours later she collapsed on the bed next to me and was throwing up badly but saying she is fine and will sleep it off. She was totally fine all day. I took her bp and it was 63/48 and her heart rate 50. I called an ambulance and they came and gave her aspirin and atropine but could not find a vein for a long time. She had complete heart failure in the ambulance but they got it going again and then she had an immediate stent put in through her artery in the groin, painful procedure, to clear the blockage. She lives to tell the tale and then told me the events leading up. She was always dizzy in the morning for more than a year and put it down to her thyroid and then she had told the doc a couple days before the attack about jaw pains. He just increased her Ramipril to lower her high bp which may have been too much. I read many woman talking about the jaw pains and it is true she didnt have much else preceding the attack. Most of the women in the ward were also smokers, needless to say she promised and wants to quit. Looking back, last year she had been to visit me and one morning was so very dizzy and I took her to the Urgent Care. Her heart rate was 50 and they sent her back to Scotland with her EKG result and asked her to get more follow up tests. Nothing happened when she presented it to her doctor and she went home. Just a 24hr virus they said. So in short, these symptoms are so subtle in women and need to be taken seriously. A hypo active thyroid can accelerate underlying heart disease and if not properly controlled and monitored can end in heart failure. So please take care of this should you have hypothroidism. Three weeks ago to the minute I had a stent placed in my heart to fixed a 100% blocked artery. The day was so normal and good: went out for lunch, went shopping, drove to cafe to pick up daughter from work, parked car and started to knit. There was a sharp "muscular" pain in my right shoulder blade and a splitting headache. I walked about 250 metres to the cafe to buy a bottle of water and scunge some paracetamol from daughter and walked back to car. Both my arms felt 'weird', all heavy and numb, i thought I must have pinched a nerve. Back in the car I started to feel nausous. Then I broke into a sweat. Not a hot flush but an intense all over clammy sweaty sweat. Not sure whether i was going to be sick or not i walked back to the cafe to get the key for the toilet. Some deep breathing stopped the feeling of vomiting but i had really hideous diahrrea. Pretty certain that i had food poisoning i sat on the floor of the toilet and felt unbelievable crushing of my ribcage from the sides - like you would imaging being crushed in elevator doors. My breathing became gasps and in the mirror i looked grey with obvious sweat beading on forehead and top lip. It took me 20 minutes to get back to the car that time and the pain was level 10. I didn't select heart attack as the verdict but i did want the pain to go and i knew i couldn't cope so i called an ambulance. Nothing touched the pain. In hospital i was pleading for them to help stop the pain (still crushing from the sides) and they decided to send me for an arthroplasty. They went in my right wrist and explained what they were doing. The moment the stent was placed the pain stopped! The cardiologist showed me the tiny clot that had blocked the artery. All i can remember was thinking, thank you for stopping the pain. Since I am disabled with severe arthritis of my spine and an assortment of other bone related maladies, it didn't surprise me when I fell the day after my 70th birthday. Friends insisted on taking me to the ER because I had knocked my head when I landed and they wanted to make sure I didn't have a concussion. I thought it was silly to go to that extreme, since I felt fine. You can imagine how surprised I was when I was admitted to the hospital because I had evidence of a heart attack! I didn't believe the doctors. 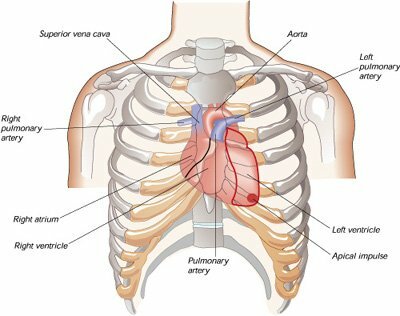 How could I have had a heart attack without any symptoms? I refused to believe the doctors, and still question whether or not I really did have a full fledged heart attack. Maybe I had a warning? Even the heart doctor seems less and less concerned, having mumbled something about it may not have been what he thought. I am taking a couple of medications for the health of my heart, but otherwise life is no different. When I thought back on it after a while, I made sure to tell my primary care doctor that she better pay attention to old bags like me when we complain of swollen ankles and shoulder pains. Funny that the shoulder pains went away once I was in the hospital, and that the swollen ankles took a while longer but did get back to normal. I never gave it a thought that both of these symptoms indicate heart problems in a woman. Unfortunately, neither did my primary care doctor during the visits I had been telling her about them. My name is Tamara G. and I am 36. I had a heart attack a little over 3 years ago, when I was just 32. It was a beautiful Sunday morning in late October. I woke up at 9 a.m. knowing I had to get myself and my family ready for church. I was stressing, trying to get us all ready. Then I noticed we were out of milk meaning no cereal for breakfast for the kids, plus the dog needed food. By this time, it was 10:15 a.m. and church started at 11 a.m. So I decided I had just enough time to get to our little grocery store (3.5 miles from our house) and get home, let the kids eat, and then get to church. I got in the car and started up our long, bumpy driveway. As I approached the main road from our driveway, I started getting what I thought was heartburn and indigestion. I continued to drive to the store, thinking I could take some medicine for it when I got home. Then the pain hit. Again, I just put it off to my gallbladder because of the indigestion, plus where the pain was located (right in the center of my chest, right below the center between my breasts and I had been diagnosed with gallstones the year prior.) By the time I got to the store, my left arm was numb and it felt like I had hit my elbow on something, though I know I had not. I got to the store, where everyone knows me and they kept asking me "Mrs. Griffin, are you okay? You look pale!" About then I started sweating and feeling nauseated. I managed to remember the dog food but forgot the milk. I paid for the dog food and drove home. By the time I got home I could barely move as it felt like I had an elephant sitting on my chest. The pressure was unbearable! And I could barely breathe! It took some effort but I managed to honk the horn and get my husband outside. I told him he needed to take me to the E.R. He went in to get his wallet and shoes. I started to feel a BIT better. With some effort, my kids managed to help me in to the house and to the couch, where I laid down. My husband got ready about that time and I told him I would "wait and see what happens". My youngest son (7 at the time) had just had a course in school where they told him that an adult with chest pain needed to get aspirin in them. Unbeknownst to me, he managed to drag a chair to my medicine cabinet, climb up on it, and get me some baby aspirin we kept in there. He brought me 2 and told me to take them. Thinking they had come from my son via my husband, I followed direction and took them. I started feeling well enough to sit up. I noticed the nauseousness had worn off but I was dizzy. So I stayed on the couch all day, sleeping on and off as I was thoroughly exhausted. About 4 hours later the pain seemed to come back severe again and I got nauseated all over again. Again my son went and got me some aspirin. About 30 minutes later (5 p.m. by this point....almost a full 7 hours after the first onset of symptoms) I told my husband I had to go to the E.R. as it wasn't any better. We arrived at the hospital and they had me sit in the waiting room for over 3 hours. Finally, around 11p.m. I was triaged. Nothing from triage showed anything significant, as all stats were "normal" but they took me back to the emergency cardiac care area just in case. They immediately put me on oxygen, and hooked up an I.V. to help the pain. Then they took blood samples, and I remember the doctor asking for the results "stat" as they came back. Within 20 minutes, I heard my nurse telling another nurse, that "Mrs. Griffin's cardiac enzymes were WAYYYYYY off." I knew I would be admitted at that point. I was taken to the Cardiac ICU where they kept me till the next day. They then transferred me to another hospital (more qualified for cardiac care) to do a cardiac catherization. Thankfully, according to my doctor, they found no heart damage, probably due to my 7 year olds quick thinking! They then transferred me back to the original hospital and put me in a regular room for the next 5 days. Looking back on it, I knew what was going on the moment it started, but thought I was too young to have a heart attack. I ignored all my "warning signs" (symptoms) and decided I knew better than my body did. I could have died that day, leaving my kids without their mother. That is a burden I wouldn't want to leave on them. If this EVER happens again (God forbid), I will be on the way to the E.R. the MOMENT symptoms appear! At the ER they hooked me up to an EKG machine, but everything looked ok, (once again the pain subsided somewhat). I also informed them that my father passed away at the age of 48 of a massive heart attack. Within 10 -15 mins later the jaw pain came back again. They ran another EKG, and verified I was having a heart attack. A stent was put in my right artery, it was 90% blocked, (and apparently if you are going to have a heart attack, it’s better to have it on the right side of your heart, it only feeds your lungs, the left side feeds everything else in your body). I went in to the ER around 8:30 Monday morning, and I was home by noon on Wednesday. I don’t think there was much damage because I went in pretty early, but should know more next week, (hopefully). My advice is if this does happen to you, make sure you ask the doctor before you leave as to what pains, (if any), are normal after you go home, and when should you call 911. I think the worse part of having this heart attack, is the paranoid feeling afterward of ‘is this another heart attack?’ with every little pain that you experience. Also, DON’T SMOKE, and if you do, QUIT!! ....Lisa S.
I have SLE with Schleraderma and Pulmonary Hypertension. I had a right heart catherization at Duke Med on Thursday and awakened at home around 8am Friday morning just more tired than usual. Around 10:30am I started having left jaw pain and left arm pain with a feeling that there was a band around my head that I can only describe like constricting pain! I took my first nitroglycerian and the pain would ease off if I sat down and didn't move. This went on in a cycle until around 5pm which then the pain didn't stop with the 5th nitro so my daughter drove me to the hospital and I was told at 639pm that I had a heart attack! Don't wait as long as I did because I had heart damage and when they did the heart cath a stent was placed! I have a very enlarged right atruim with stiffening of the right atruim and lungs and now I have the other! Don't wait like I did because God has a reason for I know still being here! I could have prevented the heart damage that occurred while I waited! It might just be your life!!! -On Tuesday when I left the gym I start experiencing a dull pain in my left shoulder. I did not do a hard work out at the gym. I only walk on the treadmill and rode the exercise bike. The pain has now spread to my neck and left arm. Sometimes the pain is really severe in top of my left arm. Is this a sign of a heart attack. I was going to the ER in the morning, should I go today? K.
-It's a sign that something is not right, Kathryn. If you've never had something like this and the pain is staying there, you really should have it checked out. Let me know what you find out. -Thanks for responding back. I went to the ER last night. My heart is good. They think it is inflammation. I have an appointment with my primary doctor on Tuesday. Thanks again for such a quick response. K.
Hi just want to say thanks to your site and my obsessive googling i was lucky as i arrived at hospital in time. I am 50 and had my first heart attack. Its surreal, i cant believe the feelings i had were a heart attack, but what helped was knowing that the mild symptoms i had were similar to other women's. That is no chest pain, just mild discomfort but the feelings described that ran up to my jaw and cheeks helped me realise that this was a heart attack mild as it was it was still a heart attack. I have now had an angioplasty and they put two stents in to open up the arteries. i came home today, hopeful but yet still scared, more scared for the family and the knowledge that at 50 you still feel so young to have had this happen to you, I hope this helps others, but i can say, warning signs are different for each yet similar. One month prior i was woken by a pain smack in the middle of my chest, which lasted around 5 minutes and went. Then the weekend i believe it happened, whilst vacuuming i felt a bit breathless, not the omg i cant breath just more out of breath than usual. Then it radiated up to my neck, then nothing. The following night whilst walking the dog again, the pain in the neck which went up into both jaw lines and into my cheeks. It really hurt the ache in the cheeks but it was like cold radiating into your teeth. That night in bed, a similar radiation but not as strong which came and went for around 1 hour and stopped me sleeping. I believed i was having a heart attack and yet, i still waited. I hope there isn't a next time but if there is, i will go immediately, i will not worry about being stupid in case it is indigestion or something similar. Waiting doesn't help, immediate action does. I am a 75 year old female and all week, prior to May 21st. I experienced minor pain across the front of my chest, that seemed to come and go. I also has a minor pain in my left jaw ( on the bottom of my jawbone) it crossed my mind that maybe it was a warning of an impending heart attack, but like alot of other women I ignored it until I awoke on the 21 st with severe burning pain all across the top part of my back. I asked my husbandf to take me to the ER. The Doctor there told me it was a good thing I came in when I did. They took me to surgery and installed 4 (four) stints and told me to be very observant as I have another place that may need a stint at some time later. You can bet I will listen to my body from now on.My Dr. also told me that I had a heart attack. A few weeks ago I learned that my body produces too many red cells, platelets and hemoglobolin. My hematologists agrees that this condition could have caused the heart attack. It is called Polycythemia, which can be deadly if not treated properly. Proper treatment is determining how much is too much then having a pint of blood withdrawn every to often, so as to keep the level of blood where it is supposed to be. Alta S.
My husband Ken had planned a B&B vacation in the Smoky Mtns; we arrived Mon eve and the next day hiked up an 'easy' trail. I had such shortness of breath, I couldn't believe I was in such bad shape!! I am 67, 5'7" weigh 138 and go to Curves 3 times a week. I had a kind of burning, uncomfortable sensation in my chest. I had no real pain, none around my heart although my heart did seem as though it was pounding. When the funny feeling in my 'lungs' didn't go away, I began to get suspicious. After my husband went to bed, I started reading different women's stories on the internet. So many said that if there is any suspicion, go to the hospital. I woke my husband up and he took me to a hospital in Pigeon Forge and they sent me by ambulance to a hospital in Knoxville for a heart cath. I had had a heart attack. I was in the ICU for 2 1/2 days, then in for another 1 1/2 days. The problem was the Takotsubo Syndrome, thought to be caused by undue stress or pressure. I have been worrying about a lot of things lately, but expect to make a full recovery as far as my heart is concerned. As an aside, I had also read that one of the symptoms of ovarian cancer is a 'feeling of fullness', which I had, along with discomfort in the abdominal and pelvic areas. My grandmother died of this cancer and, again, after reading stories on the internet, decided to talk to my Dr. After a CRT and a sonogram, I have almost a 5 cm mass on my left ovary, and a gall stone! I have had the tests for tumor markers, and they were all negative, but I now have a feeling as though there is a band around my chest, under my breasts. I will have this taken care of as soon as my cardiologist clears me for surgery. Use all or any of this information. Thanks to other women's stories, and thanks to you! I just had to write you and tell you how important your website was to me. It probably saved my life. I am 46 yrs old, and felt like the pain that I was feeling in my back was just a pulled muscle or something. It would come and go, and my left arm would also just ache really bad. I figured that I had a pinched nerve also. I had read some other info online, but it didn't talk about the fact that in women, this feeling might come and go. That is exactly why I didn't take it seriously. After I woke up on New Years day, and vomited, I decided I better look into things a little more. I found your website, and read the messages that were written by women who had suffered heart attacks, it was so much like what I was experiencing, so my husband didn't even give me an option. He took me into the ER, and I find out that I had suffered a heart attack. One of my main arteries was 99% blocked, and they put in a stent. I just got home yesterday, and am still feeling weak today. But am certainly on the mend!! Thanks again to you and the wonderful women who shared their stories on your website!! It has made all the difference in the world for me!! My name is Laurel, and I am 57 years old, both the fact that I had a heart attack, and the fact that I am 57 and having to change a life style still seem unreal to me. I have worked for the last 15 years at least two jobs and managed to go to post graduate school along the way. Probably best known as a work aholic. I think that I have been going through menapause for the last 20 years, and so every symptom, like bloating, irritability, hot and cold sweats at night, and a pain down my back under my shoulder blade, fatigue, and dizziness I have just thought for the most part it was menopause. Any way my husband took me to the ER, and when I told the attendant I had a chest pain, they admitted me right away, took and EKG which the first time it did not show anything, and then drew blood which I guess my enzimes were real elevated, and next gave me morphine for pain, then transported me to another hospital, where a cardiologist team was waiting to put a stent in my heart. Well I stayed in the hospital for three days, discharged the 4th day. And Shera was ready to go back to work, after 7 days. That is not good, I have had rash/hives I guess from the meditation, and they have increased my blood pressure medication for now, and I take a stress test tommorrow to see when I can start my post cardiologist rehab. I have also got my boss to agree for me to do light work from home. I worry about health care, paying my rent, and the whole nine yards. I tell you, I thank God, because I was having a heart attack on and off for at least that day, and the doctor who did the operation has told me twice you are a very lucky woman. Now, I am trying to slow down, because my stress came from doing to much, worrying about a lot of stuff, and always having the need to validate me by the work I do. Anyway, I am sharing my story because sometimes the obvious does not seem so obvious, and reading this blog allowed me to connect with others and learn more about this disease, it has given me hope, erased a little of the fear about my heart attack. I will look for another blog that talks about the After Party(smile), and how to live on life terms, and take good care of your body-after all I only have one. Take care all. She was my best friend, 65 years old, my grandmother died of a massive heart attack on yesterday December 21st, 2009. I was leaving the on post hospital from my ob appointment and I called her because she had my four year old daughter with her. She lived in the country about 25 miles from the nearest hospital and city life. Everyday when she left her job at the daycare she would stop by my house just to say hello. So yesterday she stopped by and picked up my daughter. When I called her there was no answer and I called again. She answered but was not herself, she was talking funny??? She said her sugar dropped and she needed some food to eat. I told her by the time I got out where she was I wouldnt get her the food on time. I pick up my sis in law frm work everyday, and it was time to get her. I said grandma u want me to come right now, she said no, get Ash first, then come. She said she had chicken boiling on the stove. I told her to go to the fridge and no matter whats in there just eat. By the time I got there the ambulance had left, she had called her brother and he called 911. I walked in and asked her how she was feeling she said better. I asked her why she didnt get on the ambulance, she said she was ok. I just dont believe she was in the position to make a decision if she shud go to the hospital, they shud have taken her anyway, she was diabetic, and she was kind of out of it. I dont feel like they treated the situation as if it was their grandmother who was sick, who lived 25 miles from the nearest hospital. Would you leave your grandmother like that? She kept saying she was hungry, she was talking to me as if we were having a normal convo. She told me to open her up a can of peas and give them to her. She took two bites, and began to VOMIT. I was told by my uncle that she was VOMITING and SWEATING while the paramedics were there. They left her anyway. Her gown was SOAKED IN SWEAT, and I kept wiping her. She was vomiting badly and sweating like Ive never seen. I called 911 and the dispatcher had the nerve to ask me, "Is she gonna go this time?" They came and put her on the truck, I can see them through the ambulance folding her limp arms. The ambulance pulled out the house and began driving, but suddenly stopped and the driver got out and began to help the other medic do CPR on my grandma. I can see this through the ambulance. We finally got on the road towards the hospital, we all got there, and the toughest part was finding out she was dead when they stopped that first time to give her CPR. She was my best friend, she raised me, we talked everyday, we did everything together and for eachother. I think of all the things I could have done so that I can be talking to her right now. Her sugar has dropped b4 and normally she knows what to do to get it back up, but this time was different. She was having a heart attack right b4 my eyes and I didnt know it. People think a heart attack is someone clutching their chest and collapsing, but not necessarilly. She did rub her chest while talking to me, but never said she was in any pain. She just kept saying she wanted to lie down. If I had known what I know now, I would have went str4 to her house from my appt rite after calling the medics, so I could have been there when they were there and begged her to get in the ambulance, I know she would have done it for me. That way at least when her heart attack symptoms started she would have been at the hospital already, and they could have monitored her heart closer and knew what was going on. Time, minutes are precious. I wish I had called someone after she hung up with me, or if I didnt have an ob appt, I know I would have been there with her to take her to the ER myself. She was one of the few angels left on earth and now shes gone. Her sis who was 3 years older than her died in August. Neither one of them were sick people, it just happend. My daughter adored her, my son will be here Jan 11th. I miss her so much, Im so sad he wont get to meet the woman who made me the woman I am today. Amesha H.
At the age of 39, I was walking in downtown Chicago on January 7, 2006. A very cold day, but I was bundled up. My husband and I were walking down to see the windows at Macy’s. On the way we stopped for a bite to eat at a popular Italian restaurant, just prior to arrival there I began to feel extremely fatigued, but dismissed it as needing a good meal and just to sit down awhile. In fact after the meal I felt much better and we took off on foot again towards the shopping district. After a few more blocks of walking the feeling began to come back, extreme fatigue, a heaviness in my chest, but no pain. I sat down a few minutes again and felt better so we continued on, looked at the window displays, and then headed into the store where I began to feel disoriented, light headed, nauseated, then began to sweat profusely. I started to shed my warm clothes, the room began to spin, my husband got an employee and they got me to where I could lay down. Again after a few minutes I began to feel better although we hailed a cab and went back to our hotel, and again in the five minute cab ride I began to feel bad again. Once back at the hotel the feelings persisted, my husband called 911 and the response was quick and before I knew it I was in the back of an ambulance being stabilized and on my way to Northwestern Hospital where they immediately placed me on heart monitors, drew blood, and came back with the words I could not believe I was hearing, you have had a heart attack. I was in cardiac intensive care for 3 days were they did EKG’s, several echocardiograms, and a angiogram. I am now on calcium channel blockers, cholesterol medication, and a daily aspirin routine. I came back to my hometown where I had followed up with a cardiologist for the last three years, I have had to have the medicines increased over the years, have had more testing with no real answers. I had felt that my cardiologist (a male) just did not take seriously the symptoms I had that day, because they were not the normal symptoms. I had told my husband that I wished I had a female cardiologist, that just maybe she would understand that women can be different. Although my heart attack that day was mild, I have continued to have increased symptoms over the last three years. Then just in this past February, my blood pressure was on the increase, and out of control, my primary doctor sent me to the emergency room, where again I was place on heart monitors, another angiogram was performed, and I met my new cardiologist, a female (only because I learned that the hospital that I was required to go to for my insurance, the male cardiologist did not go). She listened to my symptoms, said the results from the angiogram showed small vessel disease, she said she heard a clicking sound when she listened to my heart. She ordered another echocardiogram, where it was discovered that three of mild heart valves are regurgitating, and I have impaired relaxation of my left ventricle. This all explains, finally, why I feel so fatigued at times, and short of breath. Please if you learn anything from my story, learn to be persistent, don’t think that the symptoms have to be right out of a text book! My mother started feeling like she could not swallow and it always happened in the evenings. She had thought it was anxiety. She put off going to her doctor due to being to busy. She was in the process of adding on to her house and moving my grandmother in with her. She was only 63. On October 6, 2005 she took a vacation day from work. She had been a nurse for 30 years at the local hospital. She met my sister for lunch. They shopped the afternoon. She went to the store for my grandmother. She went to grandmother's house to put everything up and check on her. She left and went home. When she got home, she walked outside on the backporch where she had a massive heart attack and died. My sister heard the dogs barking and went to check. She found my mother laying on the porch unresponsive. She called 911 and started CPR on her. The first responders arrived at the house put a breathing tube in, started an iv, and shocked her. All of this happening so fast with my sister and four of her five children watching. I made it home when they were putting her in the ambulance. At the hospital, everyone in shock and disbelief of what was happening. She had worked there for 30 years. The emergency room doctor came into the consultation room to tell my sister and myself that my mother had not made it. We went back to my house where the kids were waiting. We had to tell them that she did not make it. We waited til the next morning to make the trip to my grandmother's house to tell her. If we had only known that the swallowing, the anxiety feeling, the stress was actually her symptoms of a heart attack, she would not have to busy to go to the doctor. My grandmother moved in with my sister, she has since passed away. The children are older and miss their grandmother and I have had my first baby without my mother. My sister and I, both lost our best friend that day. Women need to realize their signs and symptoms are different than mens. This is the number 1 killer of women. Don't let this happen to you or a loved one. Many people love and miss my mother and because she thought it was anxiety and stress. This is actually my sister-in-laws story. I am reading this article because her heart attack woke me up and made me realize I need to be more aware of these issues. A few weeks ago she came down with "the flu". Weakness and constant vomiting were her only symptoms. After the second day of not being able to keep anything down, my brother took her to their Dr who said, yes it is just a bug, just hang in there it will pass. Same thing on the fifth day.. the seventh day...finally my brother took her to the E.R & demanded they admit her and start an IV at the very least for dehydration. Their Dr NEVER thought there might be something else going on besides a "nasty" bug. The hosp did admit her & run some tests but did not ever for a minute think it was her heart, or do tests for it. Not on purpose anyway. After 5 or so days there, She was given a test that was ordered for someone else. The tech screwed up the order, tested her instead and it just happened the test was for her (actually the other persons) heart and imagine her shock when she was told she had had a heart attack. One artery was totally blocked. Her transfer to a competent hospital was underway within hours. The new Dr ran tests to see if she would need a stint and it turns out she is actually growing a new artery that is bypassing the one that is blocked and she is home, on medication & light duty until she is fully "healed" and the new artery is fully functional. But in any case she is very lucky that the problem was discovered at all. If we had been better informed it may have been a faster diagnosis. I am only just 44 and had a heart attack 2 weeks ago. 3 weeks prior to my heart attack I started to have, what I called, attacks. I did not know what was happening. These attacks only seemed to happen in the morning. They happened every few days and then about a week before my heart attack, they happened every day and once at night. On two occasions my husband had to call for an ambulance. I was taken to hospital, but by the time I got there, I looked and felt fine. Just like a plug had been pulled out. I had an ECG in the hospital and apparently it was fine. I also had blood taken, and that I believe was fine too. I was then sent home after being almost convinced, that I was having an anxiety attack. The way I would describe my symptoms is like have severe indigestion. My throat felt like it was closing. I had shortness of breath, painful arms, all the way down to my wrists (both arms), painful chest and upper back. I actually felt like I was dying. I had been booked in for a gastroscopy on the Monday (which I never got to have), but before that was told by my GP, that I should try to have a heart stress test first. Lucky for me there had been a cancellation so on the Thursday (the day I had my heart attack), I went for my stress test. I was ok during the test however I could not do much at all without being out of breath. I then went and dressed and waited to see the cardiologist. Whilst waiting, I started to have another "attack" and called him quickly. This attack was exactly like all the other ones I had been having. They immediately put me on the ECG and said I was having a heart attack. This time I was blocked solid. I was taken by ambulance again, but this time a surgeon was waiting for me. I was taken straight into surgery where I had an angiogram done. I suffered a major heart attack. I now have a stent in my main artery and am recovering at home after being in hospital for 5 days. I feel so fortunate to be alive. Had I been at home, even if there had been someone there, I would have died because I would never have thought I was having a heart attack. I would have just thought it was an anxiety attack and that it would eventually go away. Thank you for this great sight where we can share our experiences. At age 47, I had a massive heart attack. Several weeks prior to the attack, I had a stiff painful shoulder, was getting massage therapy for it, also felt as if had a severe sinus infection , my teeth , and in and around my mouth were painful and sore. On a couple of occasions I woke up in the morning to a very dull but definite pain in the middle of my back which went a away and I attributed to a bad nights sleep. I never experienced any ches , arm pain or shortness of breath during those weeks. The night of the attack I woke up sweating, cold , clammy , nauseated, and a strange pain between my shoulder blades, I initially thought I had food poisoning the nausea was so bad. The pain then traveled down my arms and across my chest like electrical shocks, I never experienced the crushing chest pain. After calling 911, they rushed me to the hospital where I had a 99% blockage in the main artery, had a couple of stents put in thankfully I live in an area where emergency services are great for heart problems, the Doctor said I survived the big one, had we not called 911 would have not survived, Never hesitate to have anything unusual checked out, had I waited for the massive pain would have been too late. I did use hrt for some time, unfortunately I smoked as well, the combination of smoking and hrt is lethal, although genetics played a part in my condition I believe the other was more cause, needless to say I quit smoking that day and no longer take hrt, at one point my heart dr. suggested I take it and of course a year later studies changed. Thanks for the great website. I had my heart attack on October 29, 2007. The only symptoms I had before were extreme fatigue and pain between my shoulder blades which I thought was a strained muscle. That night, I started to get chest pain . Before long, the pain had spread to my shoulder blades and left arm. My fingers on my left hand were tingling. The pain kept getting worse but I still thought it was a muscle or something. I finally told my husband what was going on and he wanted to take me to the E.R. immediately. I refused because I was in denial about the seriousness of this. After I passed out in my son's arms and then came around, I agreed to go to the E.R. Later on I was told that if I had not gone to the hospital, I would have died that night! The cardiologist put a stent in the next day and I was in CCU for 4 days. I am now in cardiac rehab and I am getting better and stronger every day. At the age of 49 ( I had turned 49 the 2nd day of October); on the Tuesday before Thanksgiving, 1993; going to work about 6:45 A.M.; I was deathly sick to my stomach. Trying to vomit, sweating profusely; NO CHEST PAIN< NO PAIN PERIOD. My husband, who was driving, told me that he was taking me back home; I had no business driving as sick as I was ( Yes, ladies, I was a truck driver). I remember rolling my head to look at him and told him to take me to the ER. Why, to this day, remains a mystery. To make a long story short, I was having a heart attack. The doctor on duty at the ER; I feel; saved my life. He told my husband that he had no doubt but I was having an MI. He administered a clot buster shot. The day after Thanksgiving, I had balloon surgery. I had 2 blockages in the right coronary artery. The studies that said to take an aspirin a day; none had any women in them. The studies that said vitamin C helped prevent heart attacks; no women. The studies that said vitamin E helped prevent heart attacks; no women. In short, no women were in any of the studies; and the fact that heart disease was the #1 killer of women was overlooked.The studies said that the female hormones helped protect women from heart disease; now we know better. In short; Ladies, listen to your body, you know it better than anyone. Oh, yes; the day before my MI; I had seen my family doctor for a weird pain in my throat. He said he didn't think it was my heart. This is my heart attack story. At age 48, I was having Sunday lunch with my husband and daughter when it felt as if someone had punched me in the middle of my chest and I broke out in a sweat. I turned to my husband and said "if I didn't know better, I would think I am having a heart attack" my daughter said "mom you don't look right either." BUT I had a cold and thought maybe I had pneumonia. Since the pain was not debilitating and it was just a 'little uncomfortable' I encouraged my daughter and husband to finish lunch while I went to the car and reclined the seat until they arrived. Still thinking it was pneumonia, I went home, changed clothes and tried to rest. The pain, by this time was a little more intense (and several hours had gone by) that I suggested going to urgent care. The physician there did an ekg and suggested calling an ambulance. Again, thinking, the doctor was wrong I suggested that my husband drive me to the ER, because I was sure it was pneumonia and why bother the EMT folks!! By the time I arrived at the ER, the Urgent Care physician had fax'd my ekg and the ER folks were ready for me. They whisked me to through registration, into a gown and in a bed with IVs going before I could even think! As I was explaining that I was sure it was pneumonia, the on call cardiologist walked into the room and explained that I was in the middle of a heart attack and was fortunate to be conscious! Fortunately, I came through it well and with only minimal muscle damage to my heart. If I had gone on my first instinct and sought help, there would probably not have been any damage. The really sad part about this is that I am a health care worker and knew better!! Also, because I did not lose consciousness and the pain was not as intense as I had heard described, I did not think it could be my heart! I am now much more diligent about seeking medical help. Since the heart attack I was also diagnosed with malignant and invasive breast cancer, but because it was diagnosed and treated early chances are very good that the surgery and radiation treatments are going to be successful. In the meantime, I am having my own tropical storms because of the cancer drugs. We constantly joked about how much we saved in heating costs during the winter and how we can possibly use this for our cookouts this summer!! We have to have a sense of humor!! A couple of years ago I was feeling "funny" it went on for about a week when I decided to get my blood pressure checked. It was 175/110. I arrived at the Urgent Care and was rushed to ER and told I might have had a heart attack - I hadn't but would have had the issue not be addressed.